Sweden is the largest of the four Baltic countries and shares a land border with Norway and Finland. The Baltic Sea is to its east, and the northernmost part of the country belongs to the Arctic. Given its large size, Sweden boasts of wild and diverse landscapes from rolling green meadows to dense forests, fierce rivers, and glaciers. 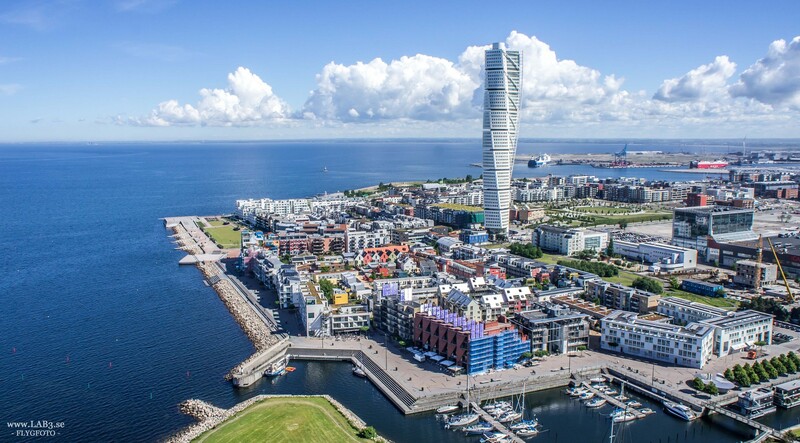 Malmö is the capital of the Swedish county of Scania and is the third largest city in the country. The city is best experienced by cycling around its unhurried streets. It is undoubtedly one of the best places to visit in Sweden. The Malmö City Hall is located to the east of the Big Square while the Little Square is a place for socializing with open-air dining. During the winter the Big Square becomes a Skating Rink. Between May and September when the summer is in full swing people crowd Malmö’s elegant parks and sparkling, sandy beaches. Malmöhus Castle, located to the east of the old city center, was built in 1437. It used to be the home of kings of Denmark in the 16th century and there now sits a history and art museum. 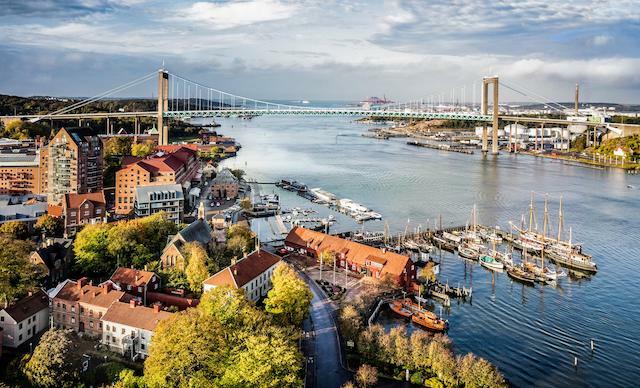 Sweden’s second largest city is gregarious and has an invigorating atmosphere. It boasts of picturesque neoclassical architecture and is home to Volvo. To the southwest of the city center stands Skansen Kronan (Crown Keep) a fortified building atop a hill which was previously used as a prison and is currently a military museum. The Gothenburg Museum of Art houses the world’s finest collection of Nordic art. The museum also displays works by modern and classical artists such as Monet, Picasso, and Rembrandt. Kronhusbodarna or The Crown House built in the 17th century was used as the Swedish parliament for some time. It now houses the Göteborgs Musik. Slottsskogen Park provides winding paths to stroll lazily along and unwind. Within the park is located the Museum of Natural History and an observatory. Stockholm is the largest city in Sweden and its capital. Nearly two million inhabitants live there. The core of the city encompasses 14 islands connected by more than 50bridges with Lake Malaren to the west and the Baltic Sea to its east. Given that it is built on an archipelago the city is however surprisingly easy to navigate. Apart from vehicle bridges, there are footbridges and ferries to get around easily. 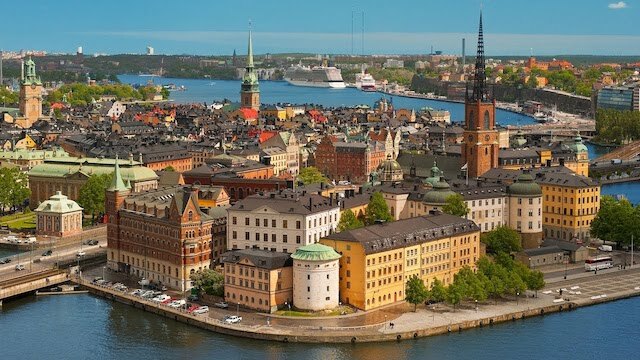 Visit the narrow cobblestoned lanes of Gamla Stan, most famed among the best places to visit in Sweden, with its ochre-colored buildings, restaurants, cafes, and bars. The Stockholm Palace or the Royal Palace is the official residence of the Swedish monarch. It has over 600 rooms and is one of the largest palaces in Europe. Visit “Vasa” a retired warship that was recovered three centuries after it sank and placed in Vasa Museum in the Royal National City Park. Relax in Djurgarden, a park island in southern Östermalm borough a tranquil green oasis in the middle of Stockholm. Go bar hopping in SoFo, a locality named because it is south of Folkkungagatan, Stockholm’s coolest and most interesting locality.